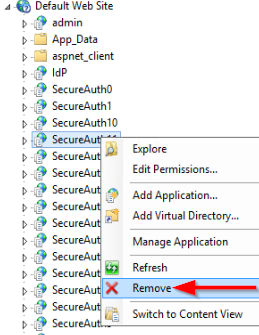 When trying to create a realm through the SecureAuth IdP Admin Console an error occurs. Typically the error code is "CreateWebSite exception: The specified path already exists." 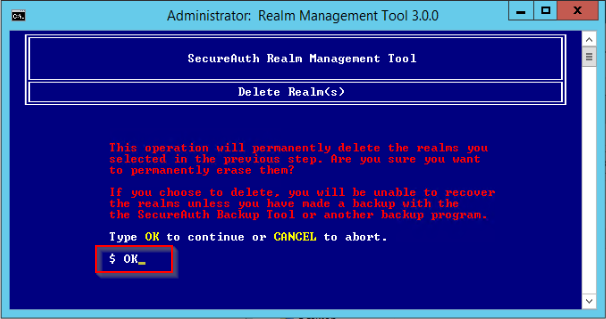 A realm has been deleted from D:\SecureAuth, but not removed from IIS. 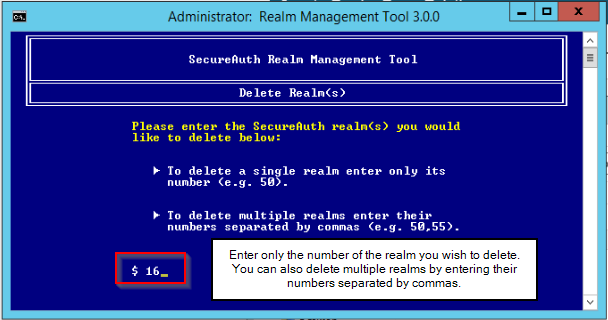 When deleting realms you must delete the realm from both your D:\SecureAuth folder and the virtual application from IIS. We recommend using the Realm Management tool for this process because it does both tasks for you simultaneously. This is the recommended method. If you are using this tool to delete your realms you will not run into the problem of being unable to create realms, which is caused by incorrectly deleting realms. 1.) 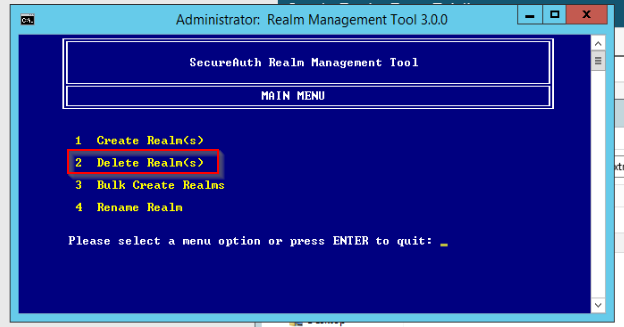 Run the Realm Management Tool as administrator, located in D:\MFCApp_Bin\Extras\RealmManagementTool. 1a.) If you do not have the Realm Management Tool, you can download it here: Realm Management Tool v3.01. After downloading, make sure to place the tool in the D:\MFCApp_Bin\Extras directory. 2.) Click past the prompts and type "AGREE" to start using the tool. 3.) At the MAIN MENU, type 2 to Delete Realm(s). 4.) To delete a realm, enter the realm number, and press enter. Please note that you only need to enter the NUMBER of the realm, not the complete name of the realm. 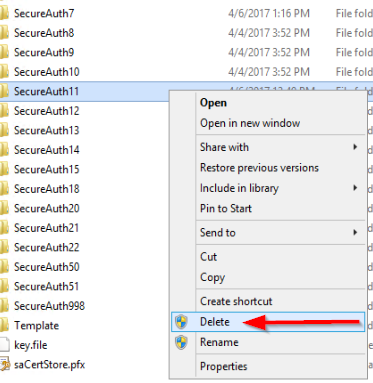 Example: To delete SecureAuth50, you enter 50. 6.) Done. The realm has now been deleted from D:\ and IIS. 1.) Delete the realm from D:\SecureAuth. 2.) Delete the realm from IIS Manager. 3.) You should now be able to create realms again. Copyright© 2018 SecureAuth Corporation. All Rights Reserved.